Astronomers have much to learn from the giant clouds of gas and dust that occupy the vast spaces between stars. These conglomerates of dense, cool interstellar matter provide the food needed for star formation in galaxies. Over the past decade, Dr Reinhard Genzel and Dr Linda Tacconi at the Max Planck Institute for Extraterrestrial Physics, and Dr Karl-Friedrich Schuster at the Institute for Millimetre Radio Astronomy have used the Northern Extended Millimetre Array (NOEMA) near Grenoble, France and the 30-metre single dish telescope near Granada, Spain to observe characteristic radio signals from interstellar gas and dust in galaxies. Their work has gained fundamental insights into how stars and galaxies form and evolve over time. Giant interstellar molecular clouds consist mostly of hydrogen molecules (H2), with a sprinkle of helium and heavier elements. By virtue of their symmetrical shape, H2 molecules do not emit much electromagnetic radiation, making them very hard to detect. Instead, as a proxy of H2, astronomers observe the emissions of carbon monoxide (CO) molecules, as H2 and CO tend to exist in almost the same ratio in all molecular clouds. CO may be deadly to humans, but this gas has proven to be very useful for radio astronomers who study the physical properties of the interstellar medium and star formation in galaxies. Molecules of CO not only comprise a significant proportion of interstellar gas – they also give off bright radio signals with characteristic frequencies. By mapping the positions in the sky where emissions at these frequencies are observed, astronomers can precisely locate the regions where large numbers of CO molecules reside. They can then measure the masses, densities, temperatures and motions of this gas, thereby probing the properties of interstellar gas and dust clouds with impressive accuracy. Such observations show that interstellar material can contract under its own gravity, eventually collapsing to form new stars. Thus, CO signals reveal the birth sites of young stars. Since 2003, Drs Reinhard Genzel, Linda Tacconi, Karl-Friedrich Schuster and their co-workers have been using the Northern Extended Millimetre Array (NOEMA) near Grenoble, France and the 30-metre single dish telescope facilities near Granada, Spain in several major observing programs to explore how the ratio between the masses of interstellar gases and stars (the gas-to-star mass ratio) changes as galaxies evolve over billions of years. Previous studies with the Hubble Space Telescope and the Infrared Space Observatory had suggested that the star formation rate for a given galaxy mass was larger in the past than in the current Universe. In the most active period of star and galaxy formation about 10 billion years ago, and about 3 billion years after the Big Bang, star formation rates were about 20 times greater than today. The key question was whether this faster galaxy growth rate occurred because gas was turned into stars more efficiently then, or whether galaxies simply contained more gas. By quantifying the interstellar gas-to-star mass ratio in galaxies of different ages and masses, one can hope to empirically differentiate between these possibilities and thus uncover the basic physics of galaxy growth. To observe galaxies of different ages, astronomers over several decades have exploited a fundamental law in cosmology: the ‘redshift’ of distant galaxies is directly proportional to their distance from us. This phenomenon was first observed by Edwin Hubble in the 1920s. It arises due to the fact that the farther a galaxy is from us, the faster it is moving away from us – as a consequence of the Big Bang. Because of this, the light we observe from galaxies is ‘Doppler shifted’ to lower frequencies to varying degrees depending on their distance from us, making them appear redder. Also, due to the finite speed at which light travels, the light we observe from more distant, ‘redshifted’ galaxies provides us with a useful glimpse of the younger universe. In their research, Drs Genzel, Schuster and Tacconi have used this effect to measure how gas contents have changed in galaxies as the universe has evolved. Over the past 15 years, the team’s progress in this endeavour has been enabled by the remarkable improvements in sensitivity of the NOEMA and 30-metre facilities, especially in terms of their radiation sensors (receivers). In the first phase of NOEMA between 2002 and 2008, it was just possible to observe a few of the rarest and brightest high-redshift, star-forming galaxies. These so-called ‘submillimetre’ galaxies had been previously discovered on the basis of their unusually high broad-band luminosities from warm dust emissions in the submillimetre range (light with wavelengths between a few hundred micrometres to a millimetre). With NOEMA, the team was able to spatially resolve CO emissions and infer how the gas moves around within these particular galaxies by investigating spatial changes in the Doppler shift. The team’s observations revealed that these extreme systems are often so-called ‘galaxy mergers’, which arise when galaxies collide to form a disturbed and more massive system. In the process of such a collision, extreme, short-lived star-forming events occur – coined ‘starbursts’ by astronomers. These galaxy mergers were much more common in the young, dense Universe than they are today and probably produced many of the massive ‘elliptical galaxies’ that we observe today. In the second phase, Dr Genzel, Dr Tacconi, Dr Schuster and their co-workers took advantage of further improvements in the capabilities of NOEMA to survey ever larger samples of galaxies. In this research, they included more normal ‘rotating disk galaxies’, which make up the majority of the star-forming galaxy population at high redshift. Because of improved statistical methods, the team was now able to determine how gas mass, the ratio of gas mass to stellar mass, and the ratio of gas mass to star formation rate vary with stellar mass, redshift and star formation rate. In the team’s so-called PHIBSS1 survey (2009–2013), it became ever clearer that star-forming galaxies in the young Universe were indeed much richer in interstellar gas, leading to higher star formation rates. The researchers also confirmed that the efficiency of star formation changed more modestly over the past 10 billion years. In their latest study (PHIBSS2, 2013–2017), Dr Genzel, Dr Tacconi and their colleagues aimed to further confirm the relationships that influence star formation rates by including additional methods to complement their observations of CO emissions. From a sample of 1,444 galaxies representing a variety of redshifts, including those observed in the 30-metre telescope xCOLDGASS survey of local galaxies (led by Drs Kauffmann and Saintonge), the researchers used two further techniques to determine molecular gas masses over time. 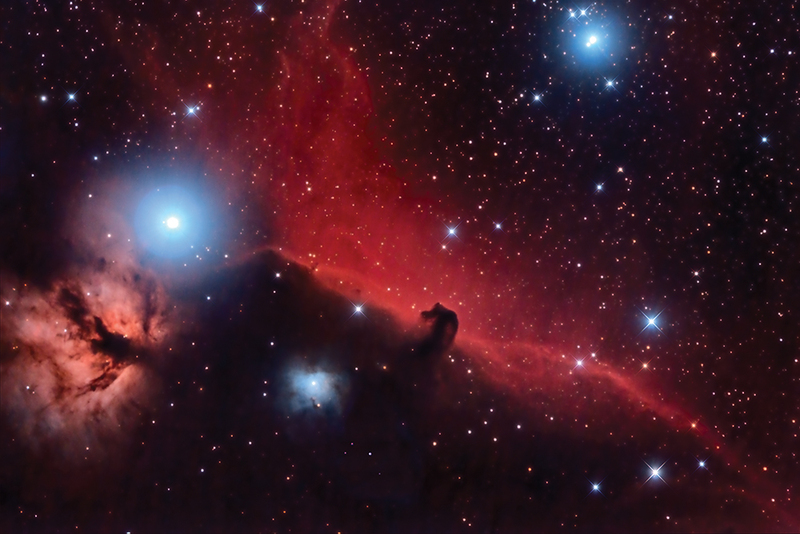 The first of these was a technique that uses the broad-band far-infrared light emitted by cold dust. Secondly, the team used ‘dust photometry’, which measures the dim millimetre emission given off by interstellar dust. Reassuringly, the CO and dust techniques yielded comparable results, thus increasing the robustness and reliability of the team’s conclusions. The findings of Dr Genzel and Dr Tacconi and their colleagues have significantly advanced our understanding of how stars form inside galaxies of different ages. They have also shed light on the timescales involved when interstellar gas and dust collapse to form stars, even across galaxies with different overall masses. Over the last decade, these observations have been critical for establishing a ‘standard model’ of galaxy evolution. While the Universe as a whole is expanding, local concentrations of (predominantly) dark matter, along with observable molecular gas, can reverse this expansion, collapsing to form gravitationally-bound structures or ‘halos’. Normal (baryonic) matter in these dark matter halos falls toward the halo centres and forms the first early small galaxies. In the next epoch, which is the one observed by Dr Genzel, Dr Tacconi and their co-workers, these proto-galaxies grew rapidly in mass by being steadily supplied with additional gas from the intergalactic medium. Near the centre, the gas cooled and then formed stars. Over cosmic time, the rate of gas inflows decreased steadily because of the expansion of the Universe, thus explaining the decrease in star formation and gas fractions over the last 10 billion years. In the near future, Dr Schuster and his team at IRAM plan to further expand NOEMA from the current ten antennas to twelve antennas by 2020. 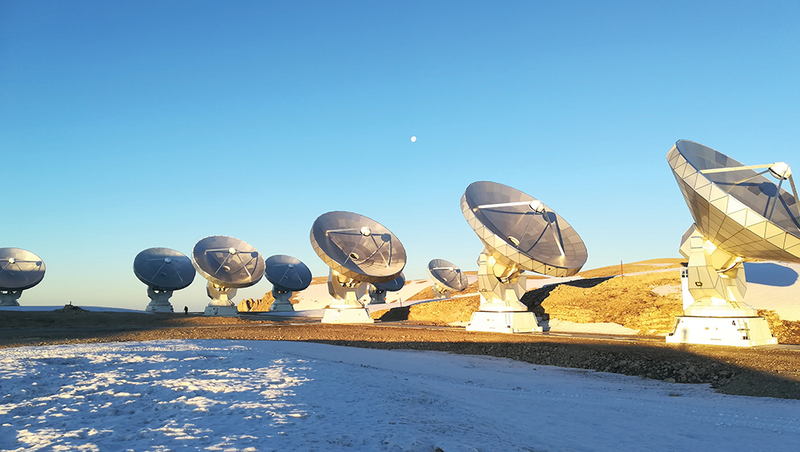 With the upgraded NOEMA array in the northern hemisphere, future studies may further unlock the mysteries surrounding formation and evolution of galaxies throughout the Universe. Dr Reinhard Genzel completed his PhD in Physics at the Max Planck Institute for Radioastronomy in 1978. 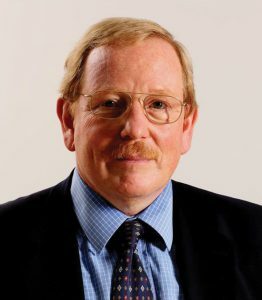 He has since held a variety of esteemed positions in Astrophysics both in Germany and the US – becoming the Director at the Max Planck Institute for Extraterrestrial Physics in 1986. Dr Genzel’s research interests include the cosmological formation and evolution of galaxies, massive black holes, and developments of infrared instrumentation for ground-based space telescopes. Dr Linda Tacconi completed her PhD in Astronomy at the University of Massachusetts in 1988. 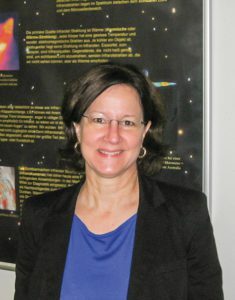 She has worked at the Max Planck Institute for Extraterrestrial Physics since 1991, becoming a Senior Astronomer and Deputy Director of the Infrared/Submillimetre Group at the institute in 1999. Dr Tacconi’s principal research interests include galaxy formation and evolution, millimetre and submillimetre interferometry, and star formation and massive black holes in galaxies. 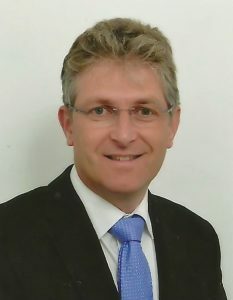 Dr Karl-Friedrich Schuster completed a PhD in Physics at Ludwig-Maximilians University in 1993, before becoming a research scientist at IRAM. He has worked at the institute since; becoming the leader of the Northern Extended Millimetre Array (NOEMA) project in 2005 and IRAM’s director in 2013. 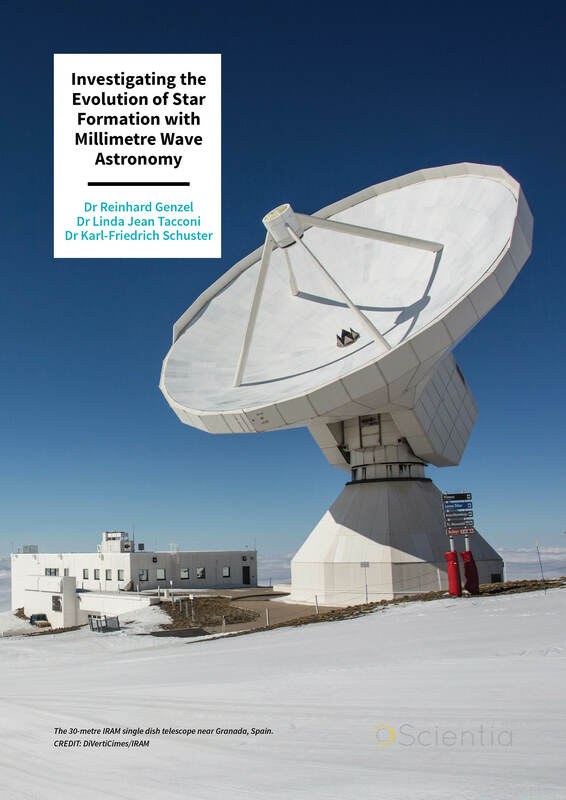 Elsewhere, Dr Schuster has contributed to several projects in millimetre astronomy, including his position as co-investigator of the HIFI instrument for the Herschel-Space-Observatory.